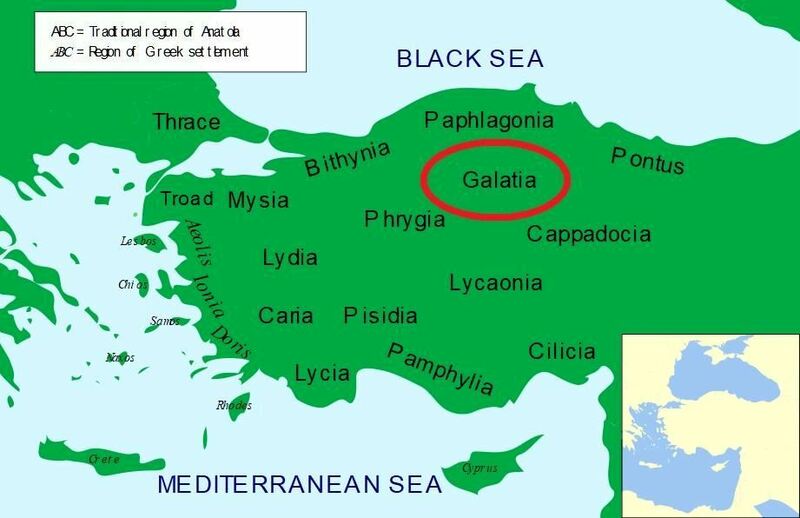 Galatia was an area in the highlands of central Anatolia. It was named for the immigrant Gauls from Thrace, who settled here and became its ruling caste in the 3rd century BC, following the Gallic invasion of the Balkans in 279 BC. The capital of Galatia was Ancyra - today Ankara, the capital of modern Turkey. The Galatians were defeated by Rome in 189 BC and became a client state of Rome in 64 BC.